Keeping your EMR or EMT certification valid is fairly easy in the state of Connecticut by taking our two in-class day refresher. We offer one of the best classes with 14 hours of online training to be completed at your leisure and two in-class teaching days. You can check your expiration date at this link: Click Here. A refresher class can be taken and passed up to 364 days before your certification expires, and it will renew your certification for an additional 3 years from your current expiration date. 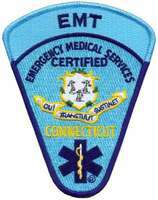 The state of Connecticut allows EMR’s and EMT’s to keep practicing until 90 days past the expiration date on their certification cards. Be aware that most companies and departments as part of their policy will not allow an EMR or EMT to keep practicing past their expiration date even though it is allowed by the state. After 90 days from your expiration date you cannot practice as an EMR or EMT anymore. However, to renew your EMR or EMT certification you only need to take and pass an EMR/EMT refresher. This refresher must be fully completed and passed before the one-year limit. If your certification expired over one year ago, you can still renew your certification without having to do the full class again. To renew you will need to take and pass an EMR/EMT refresher, the National Registry practical exam and the National Registry written exam. All of these requirements must be completed within three years from when your certification expired. Over three years after your expiration date – If it has been over three years from when your certification expired, the entire EMT or EMR class will need to be repeated.